How influential is fashion and music to the development of social and theatrical dance? I would be extremley grateful if you could send me any links or information that may help me with my project, as the information on your website is of such good quality. I would also value your opinnion on my project title. Thank you for your time. Comments for How influential is fashion and music to the development of social and theatrical dance? I believe you are going after a very interesting topic. I don't know how long, or deep your essay should be. Still, I think that your title formulates a very big, broad question. This makes the possibility of an answer kind of difficult, because you would always be talking in wide, speculative terms or relative to specific and concrete examples. You know fashion and music are two extensive different fields (or concepts), just as social dancing and theatrical dancing are. For example, are you talking about the influence of Versace's designs over Maurice Béjart's ballets? Or is it about the electronic music of John Cage over Merce Cunningham's contemporary dance? It could also be about the influence of the minimalistic music of Steve Reich or Phillip Glass over the American, 1960s postmodern dance, or the Emo fashion-style over the young Japanese dancing for leisure at a disco nowadays. ...Stravinsky's music over Diaghilev's modern ballets...? The Nike last designs over Hip Hop in Brooklyn, NY.? You see, there are many possibilities, because fashion, music, social dancing and theatrical dancing refer to many things at the same time. Your essay's argumentation would depend of the geographical and chronological context (this is where and when) of a specific artistic project; because you may also have, for example, different fashion designers at the same locality and same years, developing very dissimilar projects. In order to facilitate your task, I would recommend you to choose a very specific case. It could even be the influence of the fashion offered by your closest shopping store over the social dancing at the disco you go to on weekends or over your local contemporary dance company. Actually, the closest the information on the subject is to you, the easier it will be to have an accurate knowledge about it. I hope this helps. Please, feel welcome to come back to follow our updates or participate in any way at contemporary-dance.org. Wishing you the best essay! Thank you Maria for your advice. It's made me see things a lot clearer. My title was very broad and in order to specify it more, I've decided to focus on five styles: Ballet; Latin; Tap; Jazz and Hip Hop. For my ballet, I will look at the development of different types of ballet such as neoclassical and contemporary ballet. I will also research how the costumes used have changed based on the performance and look at ballet technique. For Latin, I will be looking at the costumes, the music and how the music is performed - for example, castanets. I will mainly be focusing on Salsa for this part but I will also look at other Latin styles. Next, I will study tap. I will be looking at the costumes worn, the development of the style and how the accompaniment can vary in tap dance. Then for jazz, I will be mainly looking at performance, how it is performed with the technique and the costumes. I will also research into jazz music. Finally I will look at hip hop, how it evolved from African dance and what its main influences were. Where it was danced, what they wore and how it was performed. After all my research, I will choreograph a performance that includes these five dance styles. 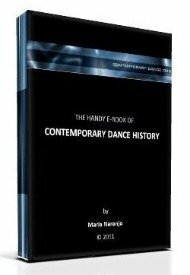 It will be in chronological order and focus on how dance has changed over time. Thank you for your comments, please post if you have any advice about my new plan. Now that you have more concrete ideas, I think that you should start WRITING your essay as soon as possible. The exercise of writing alone will show you how wide or narrow you can actually go. You might find that you still need to leave out some of the subjects during the process, or you may also find a particular concern about the whole topic to focus on. Good writing! Don't hesitate to write back if you need to. Great to know that you are a student of dance history. Fashion and music play a vital role in the development of social and theatrical dance. Please write more about the topic.